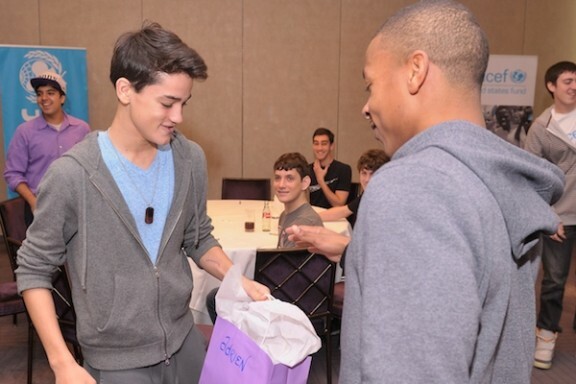 "I learned a lot hanging out with these wonderful kids ... 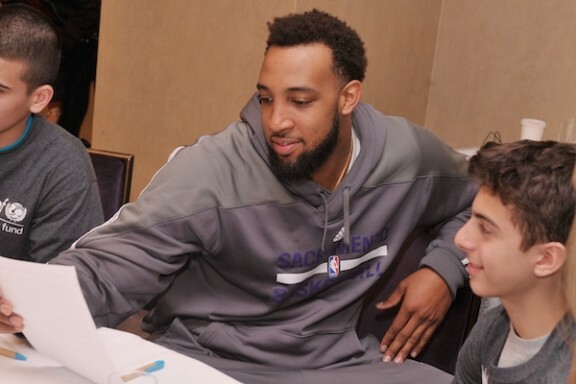 I want to keep building it"
The NBA and the Sacramento Kings have been going all out for UNICEF USA all month long with former Kings great Vlade Divac heading an effort to provide children with clean drinking water. Kings players are wearing U.S. Fund for UNICEF warm-up shirts during pre-game shootarounds, the Kings’ arena is cloaked in UNICEF blue, fans can make donations to support UNICEF water projects right at the concession stands, and coaches and even broadcasters are wearing UNICEF USA lapel pins during games. A team of kids from UNIS High School have been working just as hard for the world's children. When student Pranav Srinivasan founded the school’s End Poverty Club, classmates rallied around the cause. 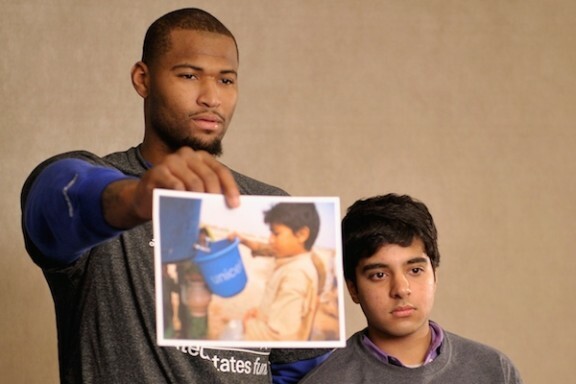 The group held a charity basketball game and quickly raised funds for the UNICEF Tap Project. 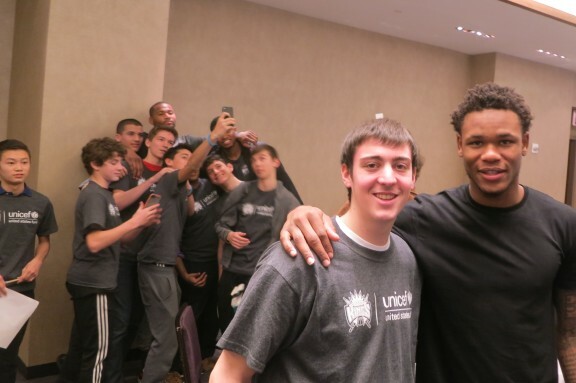 On Saturday, with Sacramento in town for tonight's matchup with the Brooklyn Nets, the two teams got together at a downtown Manhattan hotel. Pranav introduced the Kings to the End Poverty Club’s work. 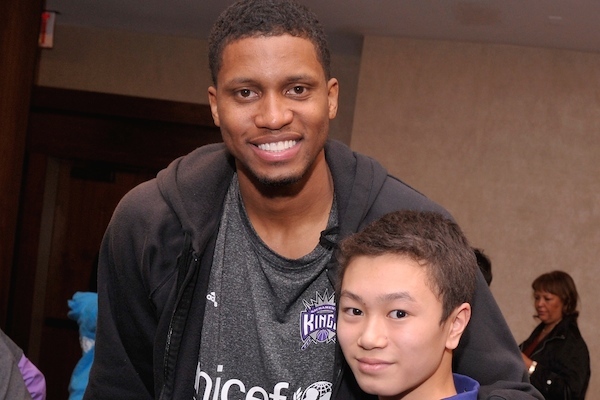 Sacramento players and coaches presented UNIS kids with warm-up shirts. 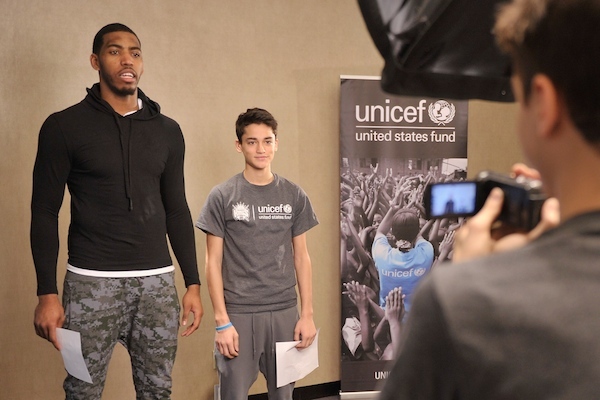 UNICEF USA President and CEO Caryl Stern thanked both squads. Then the work began. 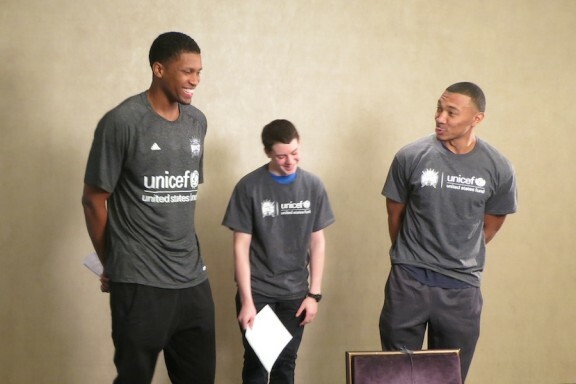 "To work with UNICEF is really special, so many lives can be saved"
Students split up into teams, working side-by-side with Kings players and coaches to rehearse their lines and shoot a NBA/UNICEF USA video PSA. As the photos below prove — you can have a pretty good time while working together to make the world better for kids! 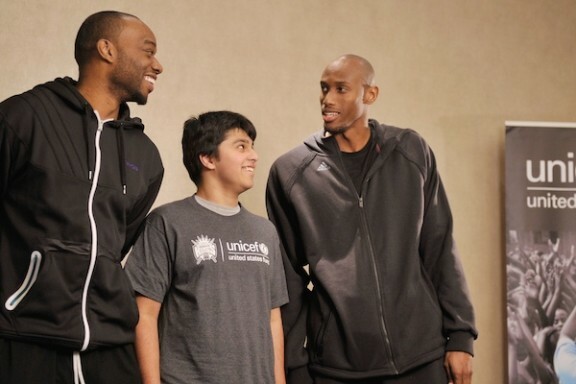 UNICEF USA is grateful to the NBA, the Sacramento Kings and the students at UNIS for all their efforts on UNICEF's behalf.